The end of life and death of our relatives, friends and neighbours often makes us feel helpless. The ancient knowledge that helped accompany us in our deaths in the past has been gradually lost with industrialisation. To regain this knowledge, we offer a short “Last Aid” course. In these courses interested citizens learn what they can do for those close to them at the end of their lives. We offer practical guidance and teach simple moves. Caring for the dying is not a science. It‘s possible within the family and the neighbourhood. We want to provide basic knowledge and encourage people to turn to the dying. Because affection is what we all need most at the end of life. The last help given to a person in his life must not be one that kills him. Saying goodbye to life is the hardest thing a person’s journey holds in store. Therefore, as in many difficult situations, it takes someone to hold hands with the dying person. To reach out this hand requires only a little courage and knowledge. In our Last Aid courses we teach both. Our Last Aid courses have been awarded numerous prizes. In 2015, for example, we won the “Recognition and Advancement Prize for Outpatient Palliative Care”, because our idea has made a special contribution to the development of palliative care in the outpatient sector. 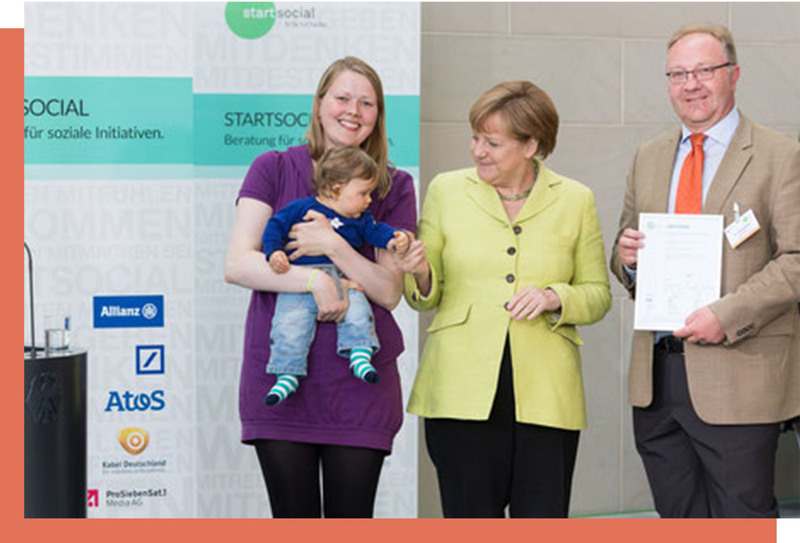 As a participant in the nationwide competition Startsocial, we were invited to the Chancellor’s Office in 2015 and honoured by Chancellor Merkel for being one of Germany’s best civic projects. It was an exciting day and our Last Aid courses have since become very popular. 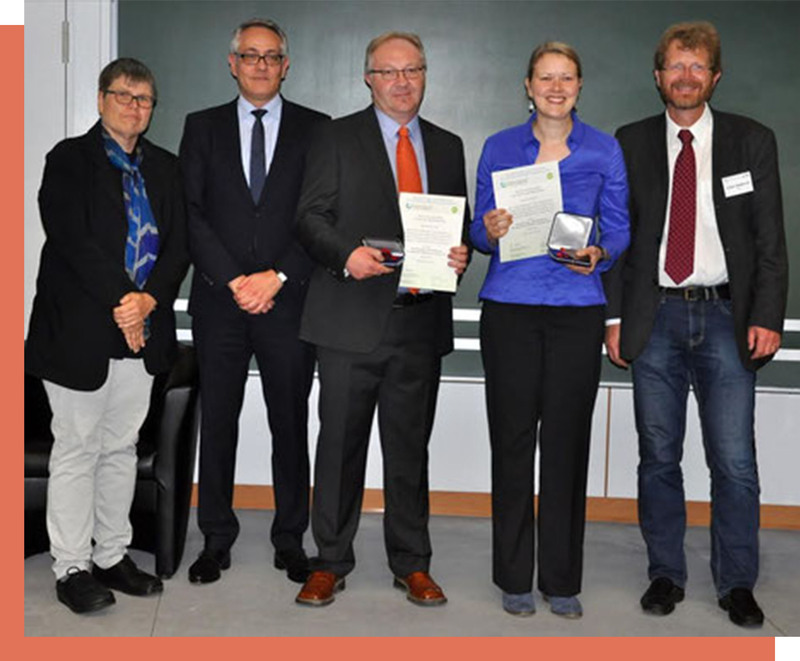 In addition, we’ve received various awards at the international Palliative Care Network Conference in 2012 and 2015 and for the participation in the HelferHerzen (HelperHeart) 2016 project. More than 3000 citizens have already participated in Last Aid Courses and more than 500 trainers have been trained. Meanwhile there are Last Aid courses in other European countries: e.g. Norway, Denmark, Switzerland, Austria and Scotland. Bollig G, Heller A., Völkel M. Umsorgen von schwer erkrankten und sterbenden Menschen am Lebensende. 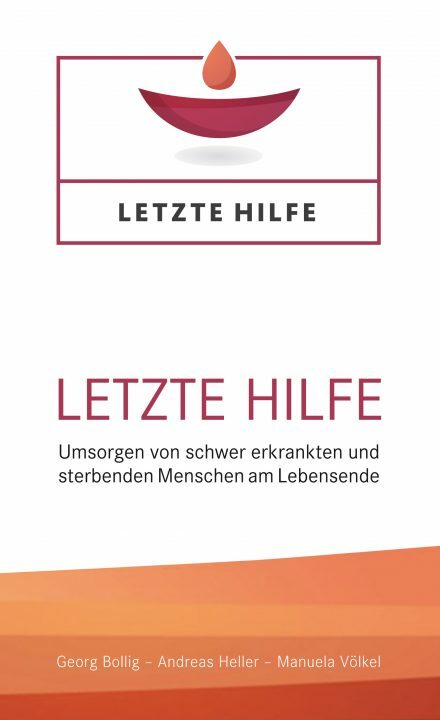 2016 Hospizverlag Ludwigsburg. Available from your local hospice publisher, bookstores or online retailers such as Amazon.